Today, I have a card to share that I made for this month's Create Along With Us at Papertrey Ink. I started by inking the side of my panel with Harvest Gold ink and my blending tool. with water before stamping it on my card. I stamped the sentiment (from PTI's Inspired: Lord), in Tropical Teal ink. from the Masterpiece kit using the same technique as the leaves. I coloured in the butterfly using a paintbrush, water and ink pressed onto my acrylic block. Love the bright take on Betsy's card! This is gorgeous,Leigh! You picked a great card to recreate ! I love your version! Oh this is just gorgeous Leigh!! You did a beautiful job CASEing Betsy's card! Such a pretty card Leigh! So fun and colorful! This is amazing!!! LOVE the colors!! Just gorgeous Leigh! Love your take on Betsy's card! This is beautiful! Love the bright colors! Amazing card, Leigh! Beautiful colors and layout...Betsy would indeed be proud!! A beautiful CASE of Betsy's card, Leigh. Love your choice of stamps to create this. Beautiful card! Love that PTI is carrying more scripture stamps. What a nice card. I love the 'watercolor' style of stamping it gives such a nice soft look. Oh Leigh this is really beautiful!! you did Betsy proud!! : ) Great take on The Challenge inspiration photo too!! So pretty! Great case of Betsy's card. I love how this turned out! Very nice CASE of the original card. Just lovely and bright. What a bold, bright, happy number! Love that sentiment, and your yellow strip across the bottom grounds everything perfectly! Thanks so much for playing along with us this week at The Challenge! So gorgeous, Leigh! Love the layered stamping look! Wonderful card! Very pretty card, Leigh, and great take on Betsy's inspiration! Beautiful, colourful card Leigh! Great take on the inspiration card. This is such a lovely card! 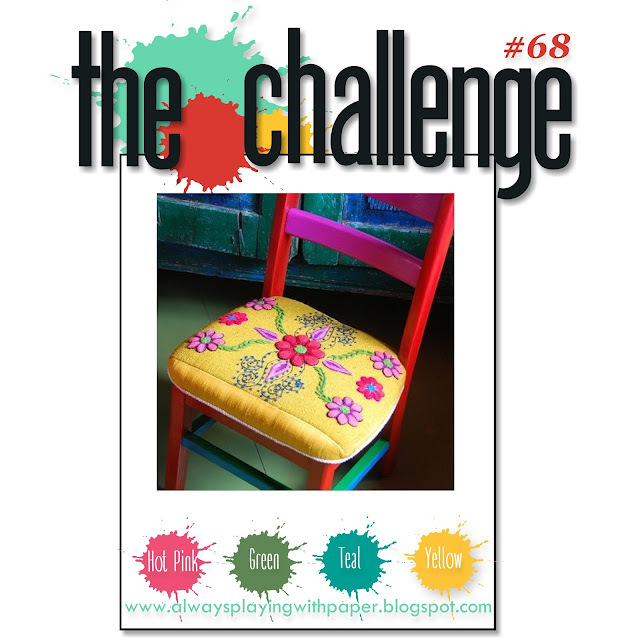 Thanks for joining us this week at The Challenge! So pretty, Thank you for joining us for The Challenge. Great take on Betsy's card!